The daughter of an Army colonel, Representative Barbara Lee is perhaps best known for casting the lone dissenting vote against authorizing the use of military force in the wake of 9/11. “We have to stand for what is right,” Lee says. “Fighting is part of life.” In this inaugural episode of Let's Talk Leadership, she talks to Donna Edwards about her personal path to leadership. An ardent proponent of gun control, “I’m that steady voice you cannot quiet,” she is also famous for handing out bags of Chicago’s Garrett popcorn to her colleagues, Democrat and Republican, on the House Foreign Affairs Committee. Ileana Ros-Lehtinen began her political career 35 years ago when she was elected to Florida’s House of Representatives. “Never in the world did I consider running for office,” Ros-Lehtinen recalls. Today, she is troubled by the state of the GOP. 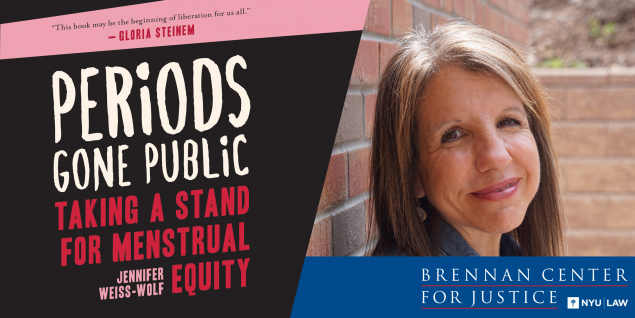 The first book to explore menstruation in the current cultural and political landscape and to investigate the new wave of period activism. This book is a blueprint for policymakers to reform practices and for concerned citizens to understand our changing carceral landscape.